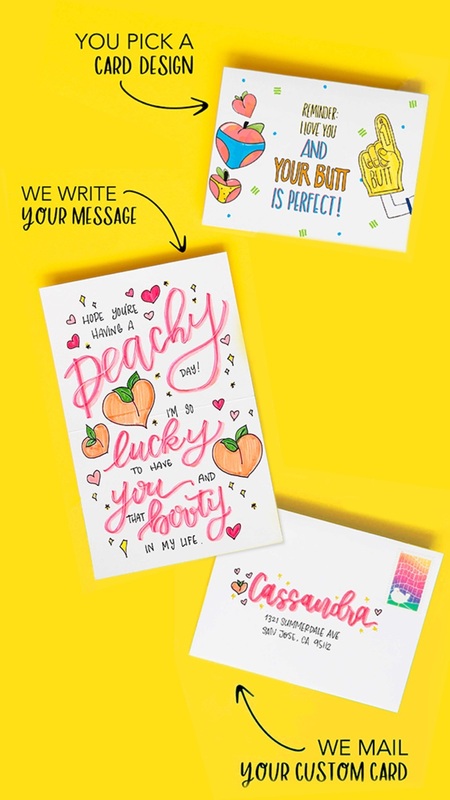 Beautifully handwritten greeting cards. Mail your first card free!!! An artist will custom prepare it and send it for you. No fake robots. Only real people that love calligraphy and will help you mail love! Great for Valentine's, birthday messages, love notes, thank you cards, Mother's Day, and more! 1. Pick a card and add your message. 2. Add confetti, photos, and gift certificates (optional). Hit send. 3. 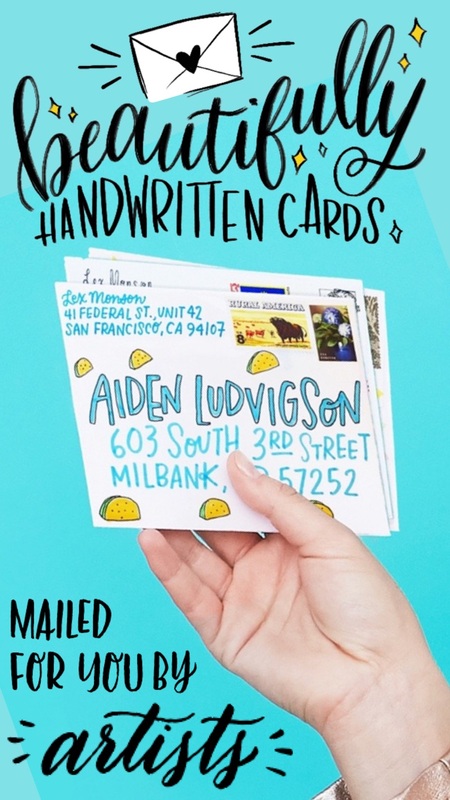 A handwriting artist custom prepares and mails the card for you. In more detail: Your message will be assigned to an artist who will handwrite it on your card, prepare the envelope, add a stamp, and add your extras: photos, confetti, or gift certificates (if you included any). Once done, they will put it in a USPS mailbox for you. You’ll get photos of the artwork so you know exactly what your recipient is getting. ** Limit of one free card per person. We limit freebies because real people handwrite each and every card plus the postal service charges us for shipping. If our system notices you’ve already sent a first free card from another account your message will automatically be deleted. We hope you love the service our artists provide for you. Support Punkpost by sending cards to your pals and telling your friends about us!